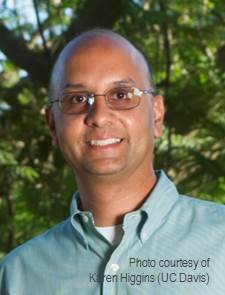 Sanjay Joshi is Professor of Mechanical and Aerospace Engineering at the University of California, Davis, where he directs the Robotics, Autonomous Systems, and Controls Laboratory. Dr. Joshi received a BS from Cornell University in 1990, and MS/PhD from UCLA in 1992/1996, all in Electrical Engineering. After his doctoral work, he became a member of the technical staff at the NASA Jet Propulsion Laboratory in Pasadena, California working on control systems and robotics. After joining academia, he began applying robotics and controls to the study of behavior, cognition, and human-computer interfaces. In 2010-2011, he was Visiting Associate Professor at Columbia University Medical School, New York City in the Department of Neurology. His research interests include neuroengineering, robotics, controls, brain science, and space systems.